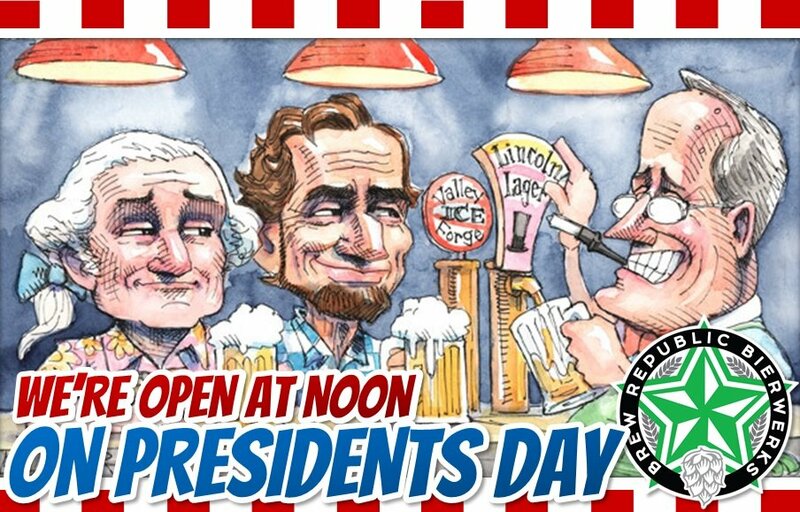 Open at noon for President’s Day. Home >> Events >> New Beer Release >> Guerrilla Series >> Open at noon for President’s Day. We’re open for lunch and day drinking at noon on all federal holidays! We’re pretty sure Abe and George would approve.